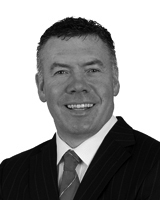 Ger Colleran is a Job / Career Results Coach & Trainer with Talent Fusion since 2002 based in Oranmore, Galway. Talent Fusion work with individuals and organisations helping them with their personal development in a business framework around the areas of advanced communication / presentation skills for selling and marketing purposes. With over 18 years working in industry in the area of Mechanical / Polymer Engineering, his qualifications include: Bachelor of Arts Degree in Education & Training, Diploma in Human Resource Management (CIPD), Diploma in Business and Executive Coaching, Master Practitioner of Neuro-Linguistic Programming (NLP), Degree in Plastics Engineering and Diploma in Mechanical Engineering. Find out more about Ger & feel free to connect with him on LinkedIn. Soft Skills Training Design and Delivery. Job / Career Planning Management and Development.